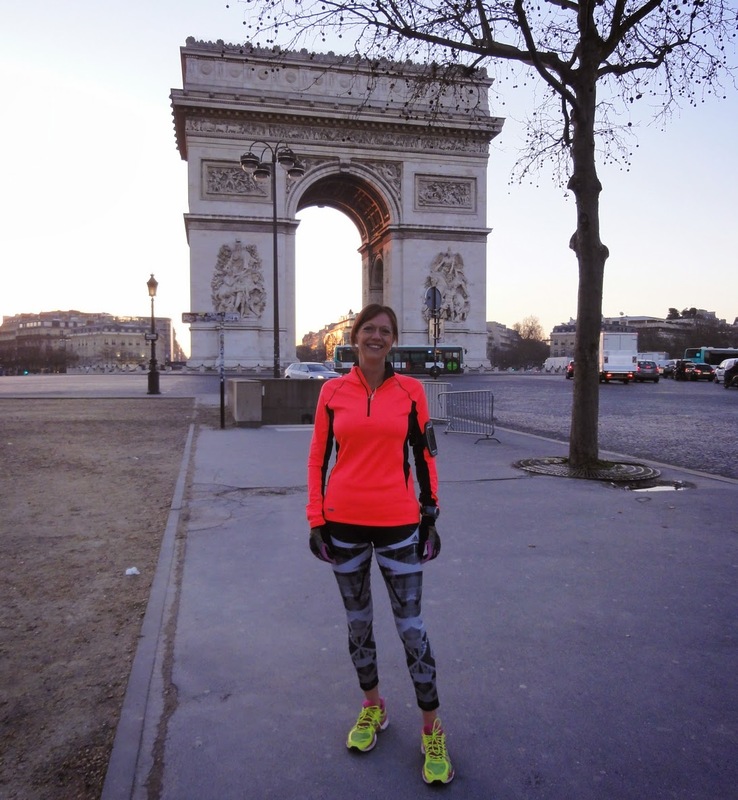 7:32 AM – Rachel, from Wales, is a regular runner with very good results… After the running tour in Paris, she arrived recently second woman of a half marathon. 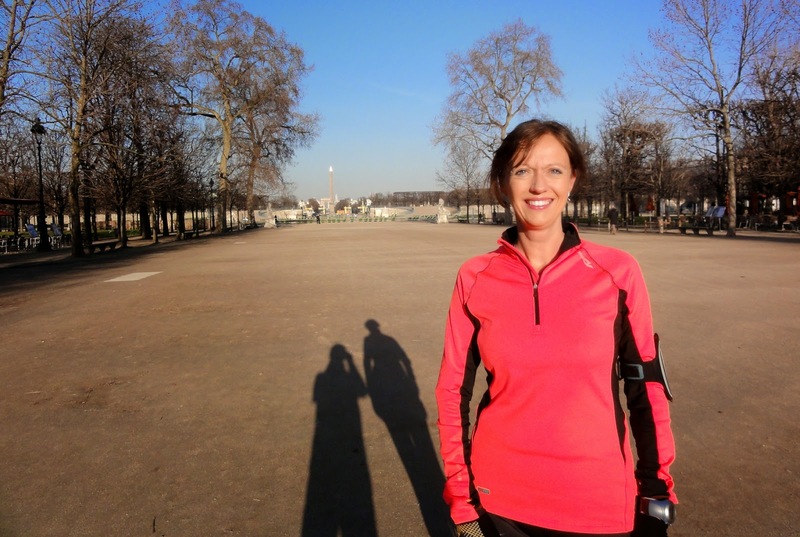 At present, she prepares for the next London Marathon. 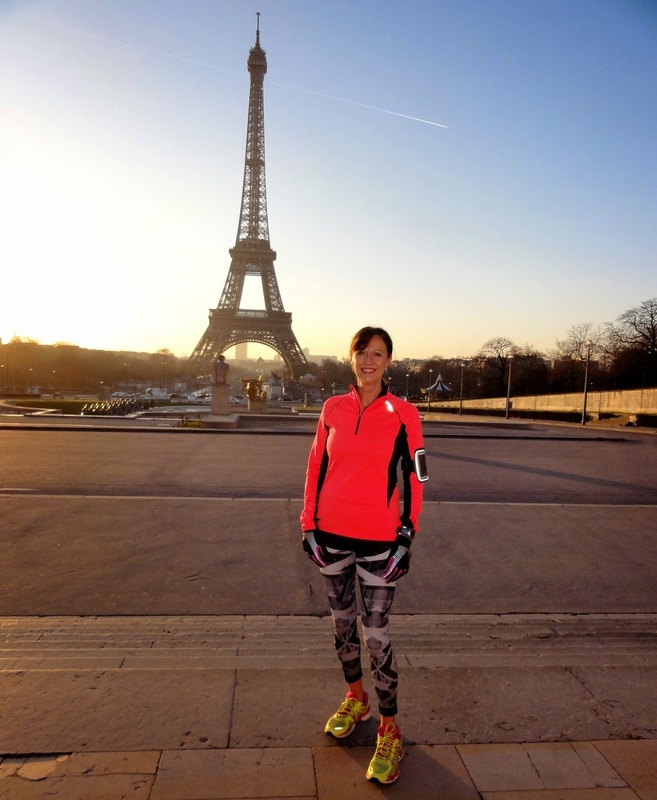 In this beginning of March, the sun is with us for an attractive tour of Paris by running. Look at the photo above, we are just under the Eiffel Tower. Early morning in March, the place is very quiet. 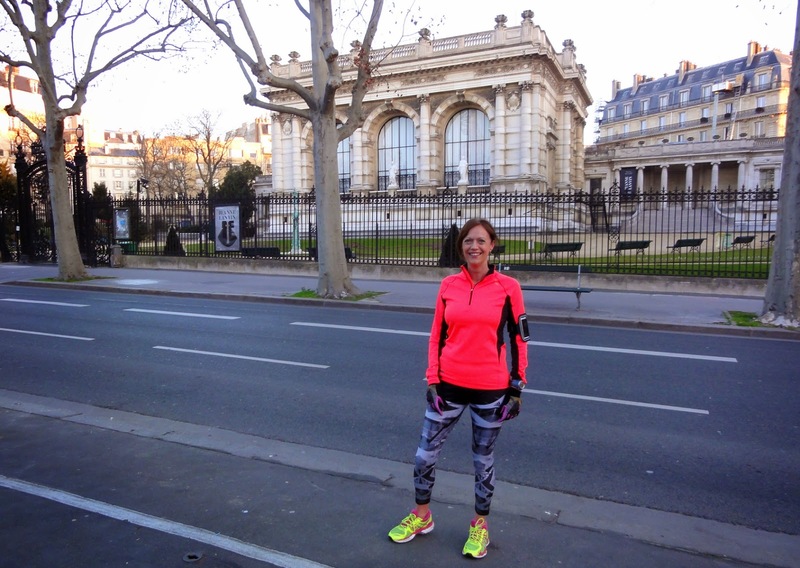 Compare with the crowd that we can find on Easter Mondays for example or on a summer weekend there… Running early morning in Paris is a delight! Far off, on the other side of the Seine, we can recognize the majestic “Palais de Chaillot” which was built for the World Fair of 1937, last World Fair in Paris. 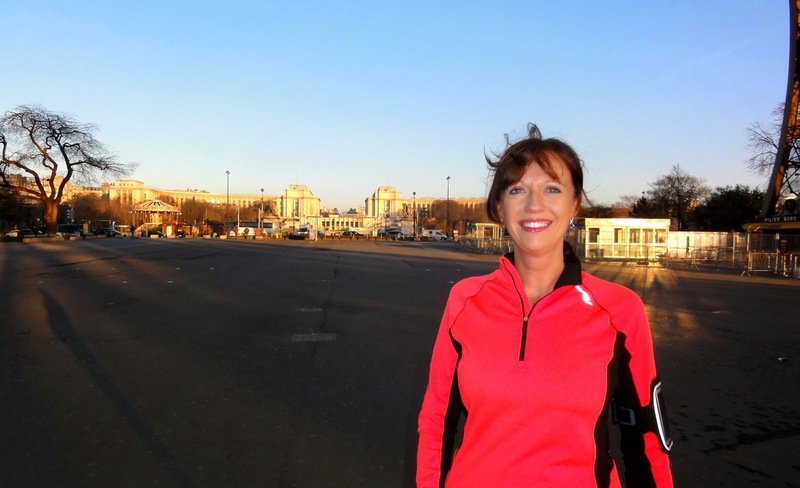 By the way, do you know what “Trocadéro” means? It is a fort which is situated in Cadiz in Spain and the place of a French victory; France came to help Spain to restore the absolute monarchy in 1823 (the king Louis XVIII reigns at that time in France). 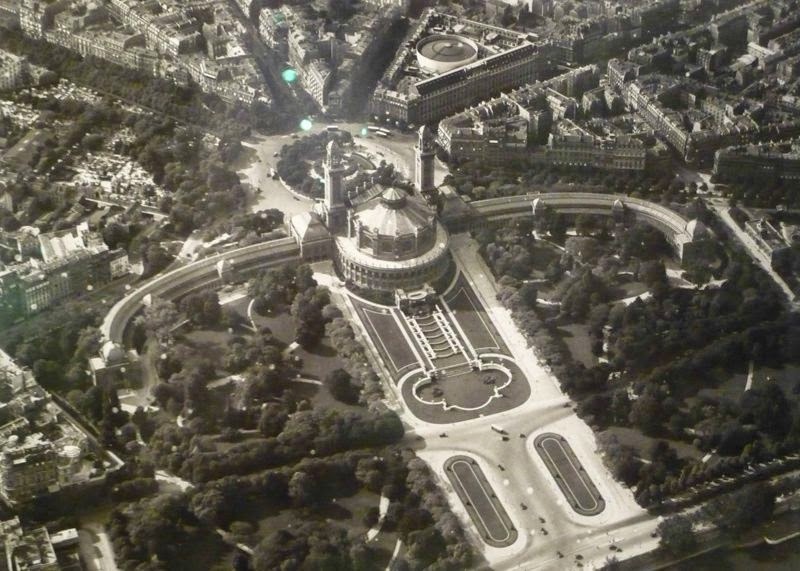 The Palace of the Trocadéro built in 1878 (and then the “Place du Trocadéro”) owes its name to a royalist victory! 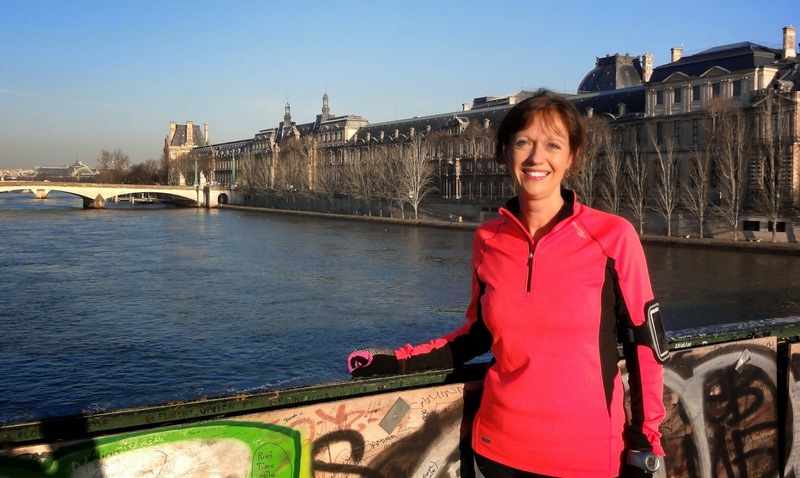 The Eiffel tower – We are at the “Palais de Chaillot”! The Alexandre III bridge with in the back the statue symbolizing the France of the Renaissance. At the top of the pylon, one of the four Fames: The Fame of the War. These four statues were covered with gold leaves in 1989. The Bridge of the Arts and in the back, the “Galerie du bord de l’eau” of the Louvre – The “Pont des Arts”, known these last years for all the padlocks which where put there by the loving tourists, is at present protected by wooden panels. These panels covered by graffitis spoil a little the beauty of the place. It should be temporary. 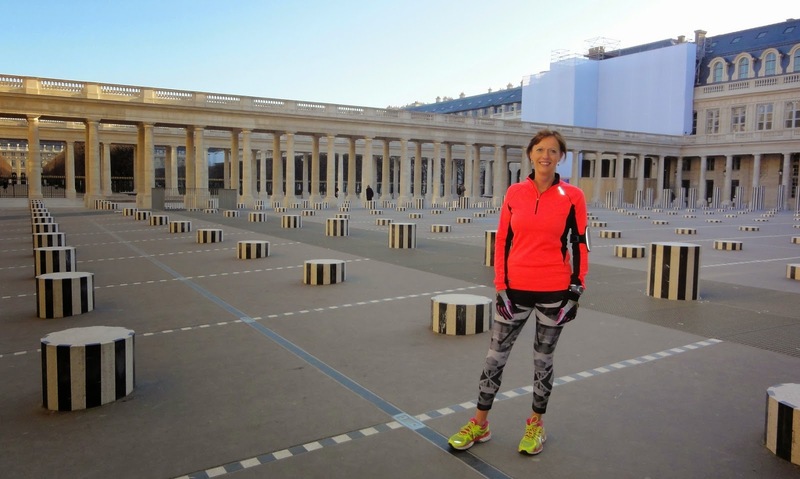 The Palais Royal and its famous Columns of Buren (“Les deux plateaux”). The “Théâtre Ephémère” (short-lived theater) now disappeared. This wooden theater had welcomed temporarily the troop of the “Comédie Française” during the works of the “Palais Royal”. We can see again the garden of the “Palais Royal” through the columns. The Garden of the Tuileries – Our shadows are still very long! We wish you a great London Marathon! 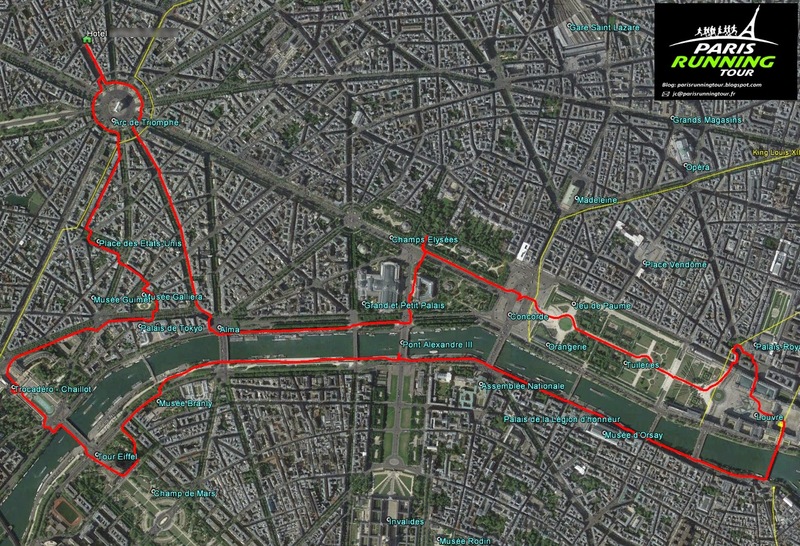 The routes we created for our visitors Running under the bridge Saint-Michel with Antje In front of the invisible pyramid with Molly and Saul London came to run with Paris ! 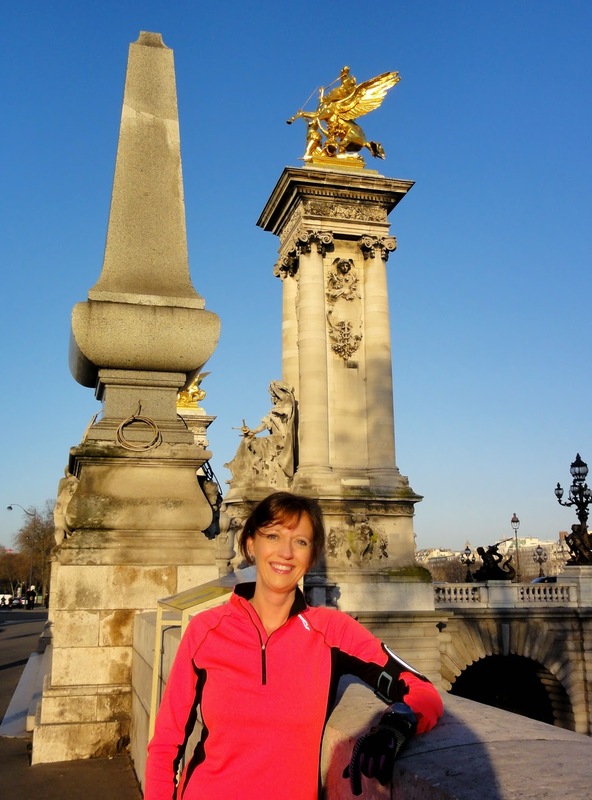 With Hope from City Jogging Tours of London Running, understanding, having fun!